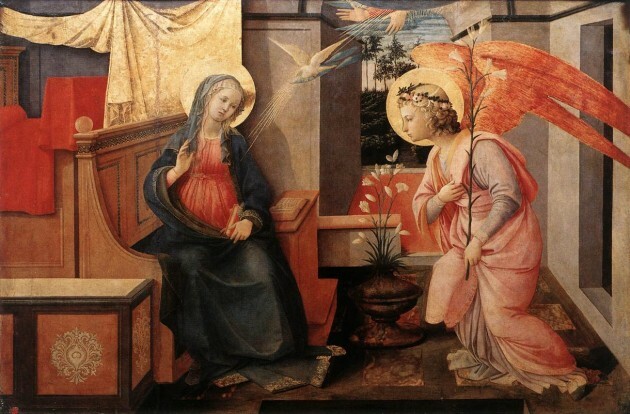 Today we celebrate a very great feast day of the Church, the Solemnity of the Annunciation of the Lord, the moment when our Lord Jesus was conceived, and when the Divine Word and Son of God was incarnate into flesh, and assumed the form of Man through the intermediary of His mother, the Blessed Virgin Mary. On this day we commemorate the day the Archangel Gabriel came to the small, poor and humble village of Nazareth in Galilee, to break the news regarding the end of the long wait for the coming of the Lord’s Promised Messiah, the Good News announced to the world through Mary. Is this not the most wondrous of mysteries, when Heaven touches Earth, and sinful Man is rescued by a Loving Saviour Who had promised our first parents He would not leave us in our sinfulness? yearn to gaze upon the beauty of Thy Face.